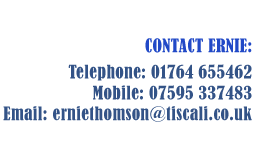 Ernie Thomson known as ET from Crieff is an executive DJ entertainer. 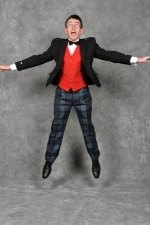 He can help facilitate, co-ordinate and support you and your function with his unique entertainment style. Ernie provides a complete Disco Entertainment package for everyone. A fantastic atmosphere of music, lights and FUN. With ET's experience, extensive musical / function repertoire and his contacts any function can be catered for with that something "extra special"
If you are looking for a Disco, Ceilidh Band or Both ET can help. Click on Portfolio to find out about the "ErnieTainment" packages on offer.